What is the minimum specification for a laptop computer to suit your needs? Create a custom specification checklist for you. Confirm you have included all the right components. 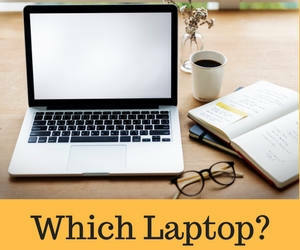 Copy the results and see which laptop computer suits you. Can be used without mains power. Battery endurance reduces with age. Low power consumption. Slightly lower performance options compared to a desktop. Can be easily connected to many networks. Monitor size limited. Click in the check boxes or select values on the right for each row that describes your usage. Click the Get Results button to generate the computer system specification results. Web Camera Used for video conferencing. Can include auto focus and microphone. USB connectors. Some laptops have a web camera built in. Also useful for copying old computer files to new computer. For a single computer use a USB external drive. For a group of computers use a single Network Attached Storage NAS device. USB flash drive 8 GB to 128 GB. USB drive 320 GB to 2000 GB. NAS drive 500 to 8000 GB. For a group of computers use a single Ethernet networked printer. Inkjet or mono laser or colour laser printer. Inkjets are better for photos. Laser is cheaper per print cost. Sound For music, VOIP communications, video conferencing etc. Can be headphones or headset with microphone Audio connectors assumed on all computers. Most laptops have speakers built in. Networking Wired Ethernet, Wireless Ethernet Wifi, Mobile 3G Ethernet suits connection to ADSL or cable Internet or business network. Wifi requires a broadband router with wifi or a wireless access point. 3G may suit when other broadband type are unavailable. Wired Ethernet and wifi assumed on all laptops. Wifi AC,G or N standards for house area. Mobile 3G/4G for city wide coverage. Power Surge Protection This can be on a single power point or a power board. Press button after completing or adjusting fields in the top table. Selection Results show up here. How to connect to the Internet? If an Internet connection exists on the premises then the new computer needs to join the network using Ethernet or Wireless Ethernet. Ethernet connection can be made with Category 6 cable. Wireless Ethernet Wifi is standard on most laptops, Wifi ability on the network uses a Wifi enabled router or wireless access point. The wifi network name and password is needed for a connection. There are multiple wireless network standards available A B G N. G is most popular and also handle B protocols. N is fastest but a relatively new standard. All wifi components need to work to one standard. If the building is very hard to cable and the solid walls are too thick for wifi, then Ethernet adapters can use the house mains wiring as a communication medium. These are expensive and relatively slow. For a new Internet connection the options include dial up, ADSL, cable, Fibre, mobile 3G and WiMax. Appropriate hardware and possible cabling need to be considered. Investigate if VOIP telephony can reduce your overall communication costs. This depends on if there are any special requirements for your software choices. General computing can be achieved with Linux, Microsoft Windows 7 or Apple Mac OS X. Choose just the amount of performance required. Ignore the fastest processor i7 or fastest graphics card GTX 4xx / Radeon 59xx. Consider open source or Internet based software. Chromebook computers for light computing needs can be cheaper than laptops. Linux operating system (free) can be $150 AUD cheaper than Windows 7 Home Premium or Mac OS X.